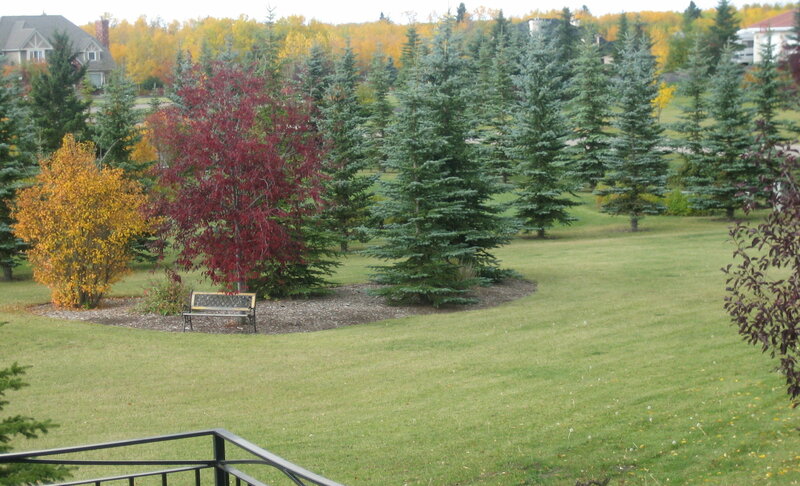 In Springbank, residents get the best of both worlds - enjoying rural living in close proximity to big city amenities. Bordering 101 Street SW to the east and the Bow River to the north, Springbank has over 3,000 homes, is only 30 minutes from Calgary's downtown core and only 20 minutes from major shopping centres. The major shopping area of Westhill Towne Centre in Calgary's Signal Hill district is close by, located at the intersection of Sarcee Trail and Richmond Road SW, accessible from Springbank via Glenmore Trail (Highway 8). Complete with a Safeway, Shoppers Drug Mart, Rona, Cineplex Odeon movie theatre and several popular restaurants. Across Richmond Road is the Signal Hill Centre Mall, where you will find a diverse collection of brand name stores and services. 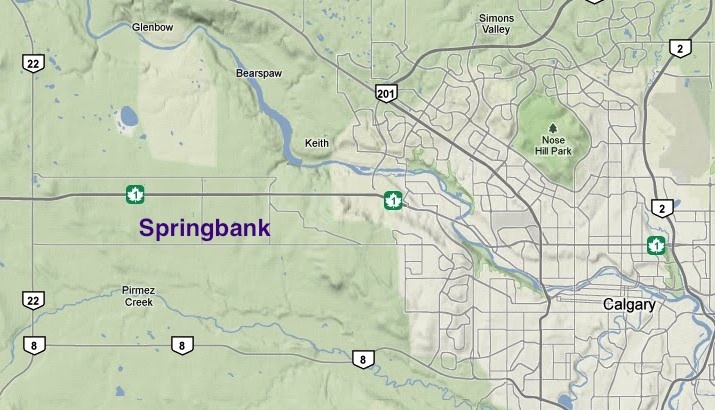 Located mere minutes northwest of Calgary in Rocky View County, Springbank is a rural oasis offering some of the most beautiful country and impressive scenic views in southern Alberta. 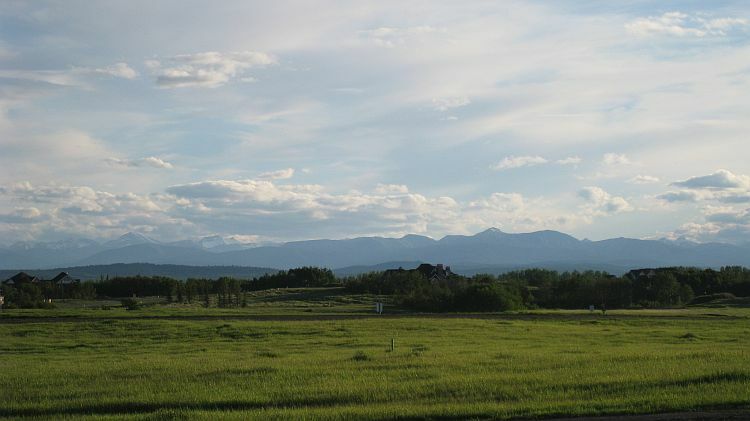 With clear views of the majestic Rocky Mountains to the west and Calgary's picturesque skyline to the east, Springbank is a quiet, safe and inviting community ideal for active families, retirees, couples and professionals who prefer a lifestyle surrounded by nature to the chaotic hubbub of city living. There's plenty to keep you busy and connected in Springbank. Horseback riding is a very popular pursuit throughout the year with clubs available for both kids and adults alike. The hub of most riding activities is the Springbank Equestrian Society and Pony Club, which oversees the park and clubhouse located on Lower Springbank Road. Clubs associated with the SES include the Calgary Western Riders, a group dedicated to promotion of western riding and sportsmanship, the Springbank Pony Club, the Sprinbank Rawhides 4-H Club and the Sarcee Pony Club. Springbank is also home to Kestrel Ridge Farm, a well known boarding and dressage training facility that doubles as a venue for a diverse range of family and corporate functions. There are plenty of ways to get involved and meet people of all ages in the Springbank community. Younger generations can participate in local Beavers, Cubs, Scouts, Brownie, Girl Guide and Pathfinder groups, play sports year round including minor hockey, soccer, basketball, swim clubs and little league baseball. The nearby Mount Royal University pool hosts Wanna Polo, the popular Calgary women's water polo league, and Springbank Yoga coordinates 90 minute morning and afternoon practice times lead by professional yoga instructors. The Springbank Creative Arts Club meets regularly and puts on an annual Show & Sale at the Springbank Community High School where they display and sell their artwork. The Springbank Heritage Club organizes tours, RV trips, card games, pot luck suppers and other social events for 50+ residents. Other groups include the Springbank Lion's Club, the Springbank Big Band, the Garden Club and a dozen others: learn more about these and other clubs on the Springbank.ca Organizations and Clubs page. For those who love the great outdoors, there are tons of ways to enjoy nature in Springbank. Canada Olympic Park can be found at the northeast edge of Springbank bordering the Trans Canada Highway and 85th Street SW, featuring fantastic mountain biking, mini golf, climbing wall, skating programs, summer camps and an exciting zipline ride. The Springbank Park for All Seasons is a multi-use facility located in the heart of Springbank, offering two arenas, skating rinks, a curling rink, baseball and soccer fields, and is home to the popular local Springbank Farmer's Market. Also located in Springbank is the exciting Calaway Park, western Canada's largest outdoor family amusement park, featuring rides, games, shows and events for all ages. Golfers will love Springbank's local golf courses and country clubs, including Calaway Park, Glencoe Golf and Country Club, Pinebrook Golf and Country Club, Springbank Links and the Elbow Springs Golf Club. Springbank Real Estate is ideal for active families, outdoor enthusiasts and anyone who wants to get away from it all without leaving it far behind. If you're interested in calling Springbank home, begin by searching Springbank homes for sale or contact me to learn more about Springbank real estate and our free home evaluation consultation.